Make your morning meal one to remember when you whip up a batch of flavorful, fluffy pancakes. We've gathered up our favorite creative pancake recipes, to inspire you to become a breakfast master. Tell your family we said, "You're welcome." 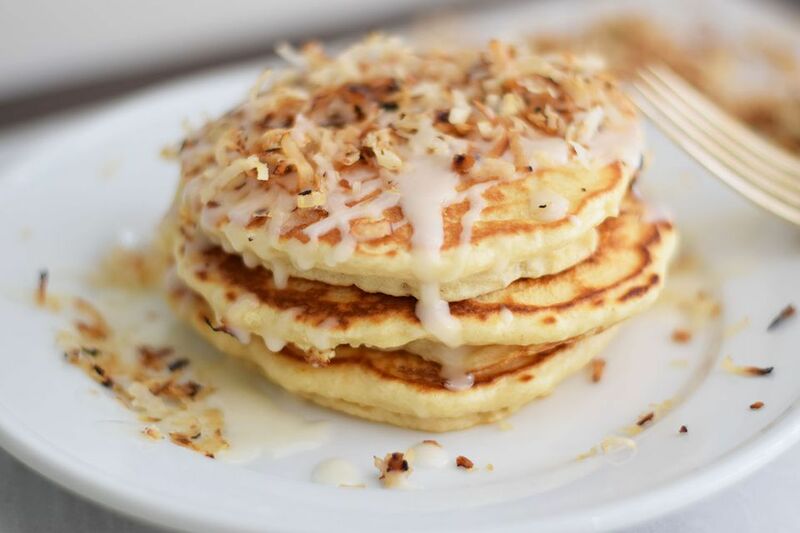 Tropical coconut cream pancakes are a wonderful way to enjoy the taste of the islands. Whip up a batch any time you want to imagine yourself on a beach. Filled with shredded coconut, enlivened with vanilla, and topped with both a coconut cream glaze and golden toasted coconut, these yummy breakfast cakes taste a lot like coconut cream pie, but belong on your breakfast table. Here's a sweet and ultra-decadent chocolate pancake recipe your family is sure to add to their favorite foods list. This dish takes the fabulously rich and bold flavors of peppermint hot chocolate, and puts them right into your breakfast pancakes. With added chocolate sauce, chocolate chips, mini marshmallows, and crushed peppermint candy, these pancakes are next-level delicious. Start off your Easter morning on the right (rabbit) foot, when you serve up these adorable bunny-shaped pancakes. Kids will love these Easter pancakes, complete with a fluffy marshmallow tail. Moms and dads will love that they're so easy to make for Easter breakfast or brunch with the recipe instructions. These little oven pancakes, also known by the name Dutch babies, are super easy to make and delicious to eat. Serve them for a special Sunday morning treat, with sliced fruit and syrup or warmed preserves, and a dusting of powdered sugar. These delicious pumpkin pancakes are flavored with brown sugar and spices, with extra texture from cornmeal in this recipe. They're wonderful and warming for breakfast or brunch, served with pecans and maple syrup. 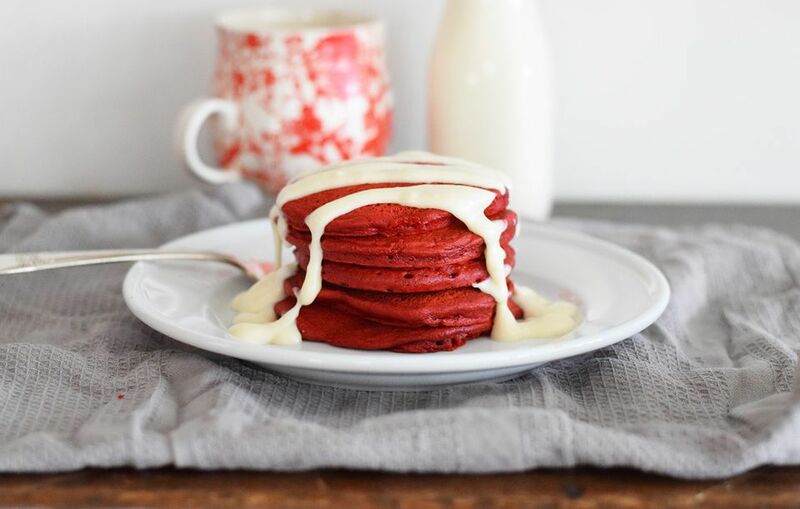 Luscious red velvet pancakes are the perfect treat for a Valentine's Day breakfast, Christmas brunch, or a special weekend morning treat anytime. Moist and colorful, these indulgent breakfast cakes look beautiful served on a white plate, with some syrup and whipped cream, on top, and red berries on the side for decoration. Americans love pancakes as a breakfast or brunch favorite food — but in the Netherlands, they're often saved for dinner. These savory bacon and apple pancakes are a classic Dutch dish that offer an amazing flavor combination, when you want to serve something different as your evening meal. Kids and adults alike will love eating these pancakes for supper! Kids who love peanut butter will flip when you serve them these scrumptious, fluffy peanut butter pancakes. Serve with your favorite syrup and top with a dollop of fruit jam, for peanut butter and jelly pancakes! What could be more perfect for your next Christmas breakfast or brunch with kids, than these super fun and adorable Rudolph the Red Nosed Reindeer Pancakes. In fact, kids and adults alike will be delighted with these cute little reindeer faces on their breakfast plates! Savory and hearty Korean kimchi pancakes make the perfect appetizer or side dish to any Korean or Asian meal, or can be enjoyed as a hearty afternoon snack. They're easy to make with prepared kimchi (fermented vegetables), which is available at Asian markets. These zingy, bright tasting pancakes get their vibrant orange flavor from orange juice and fresh orange zest in the batter. Yummy and fancy tasting, they're super easy to prepare and are lighter tasting than some other pancake recipes. Pancakes are a great excuse for eating chocolate in the morning. Here's a dairy-free, vegan recipe for melt-in-your-mouth banana chocolate pancakes that the whole family will love. Bananas and chocolate are cooked right into the pancake itself, making every bite full of flavor. Master brunch and wow overnight guests when you serve up a batch of these gorgeous blueberry lemon ricotta pancakes. Sweet, beautiful, and deliciously fluffy, these pancakes are easy to make and taste decadently delicious. Make them for Mother's Day breakfast, or whenever you want to give someone a special treat at breakfast. Applesauce pancakes with apple cider syrup are the perfect way to get a taste of fall into your breakfast. Make the syrup the day before to make it a quick and easy gourmet breakfast.